The Government’s new insulation funding scheme is only intended for lower income home owners and won’t be available to landlords – or their tenants. Budget 2018 included $142.5 million for a new insulation programme aimed at making New Zealand homes warmer, dryer and healthier. The four year programme, which will be administered by the Energy Efficiency and Conservation Authority, will provide lower income homeowners with grants to insulate their properties. Yet while landlords are now required by the Healthy Homes Guarantee Act to properly insulate their rental properties by mid-2019, they will not have access to the insulation grants. REINZ chief executive Bindi Norwell is concerned the Government has confused landlords with speculators out to make a quick profit and overlooked them when it comes to the insulation grants. Landlords are in the property market for the long term and provide an extremely important service to those renting homes across the country, she says. 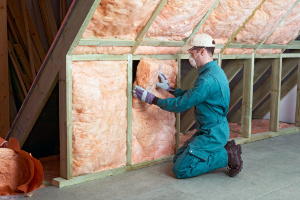 “Insulating a property will come at a significant cost to landlords and providing grants to support landlords ensures that insulation is not only installed in properties but that they are incentivised to do so quickly. For University of Otago public health professor Philippa Howden-Chapman, the grants are welcome but they will benefit less than a fifth of the estimated 900,000 households, who currently live in uninsulated homes. Rental properties are in poorer condition and less likely to be insulated than owner-occupied homes, she says. “In order that renting households do not become relatively worse off, it will be important for landlords to be closely audited to ensure they comply with the new law. “More money will be needed to ensure that all New Zealand houses are warm, dry and safe." Howden-Chapman says landlords have had targeted funding for a number of years, but they have been very slow to take up the 50% government subsidy. However, an EECA spokesperson confirms that while Warm Up New Zealand: Healthy Homes grants, which offer a 50% subsidy to landlords, are currently available, they won’t be after 30 June 2018. The Warmer Kiwi Homes insulation grants programme, which was announced in the Budget, comes into effect from 1 July 2018 and, from that point on, there will be no more insulation grants for landlords. NZ Property Investors Federation executive officer Andrew King says many landlords didn’t go through the Warm Up New Zealand scheme because, even with the subsidies, it was too expensive. He adds that when the Healthy Homes Guarantee Act was passed late last year, it was indicated that insulation grants would be made available to landlords.